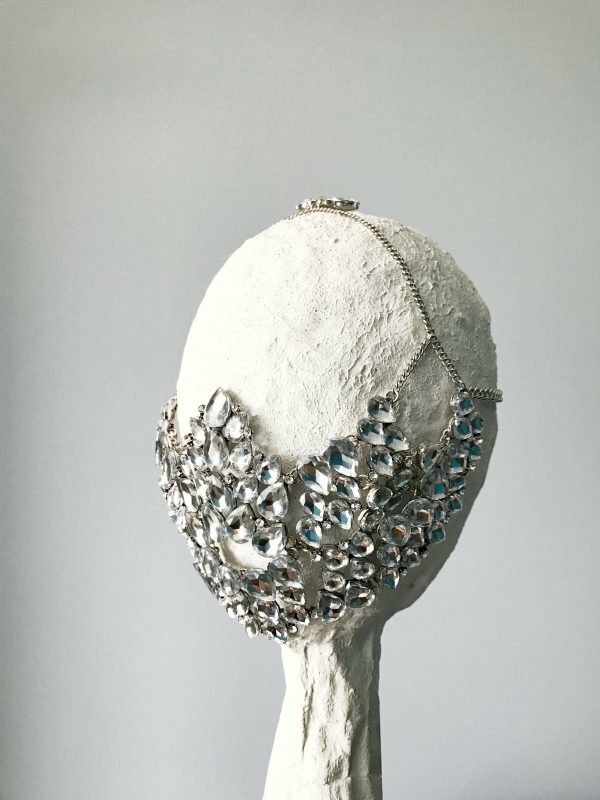 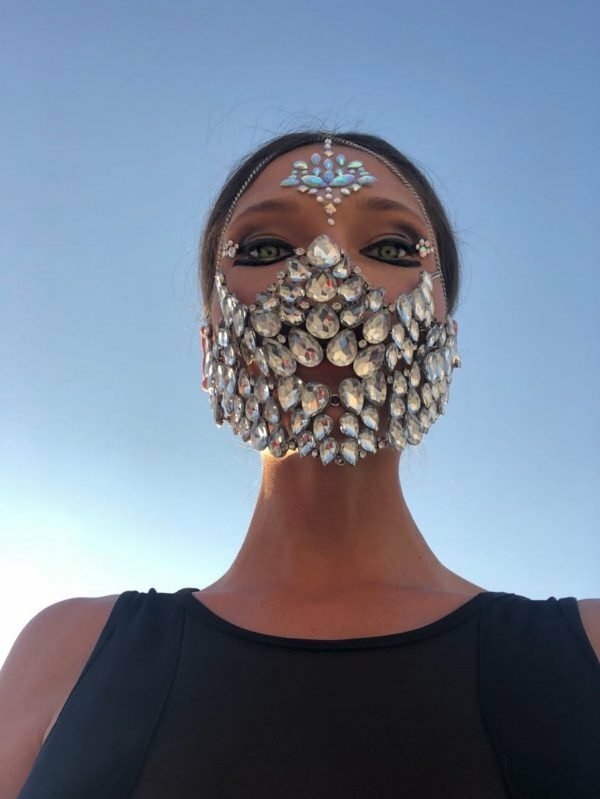 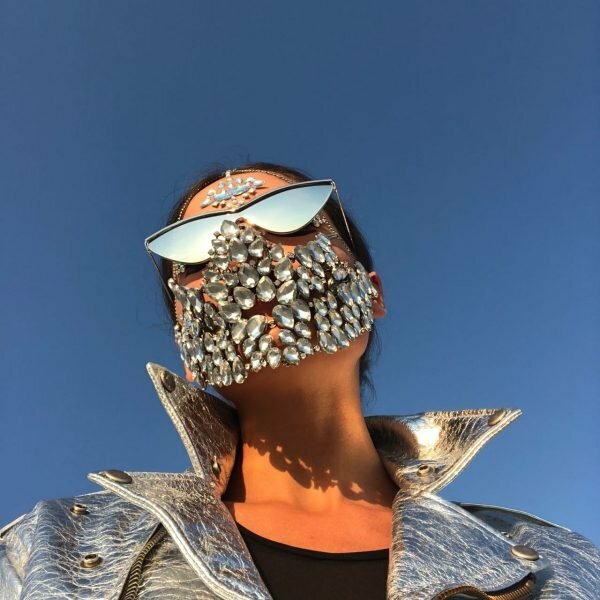 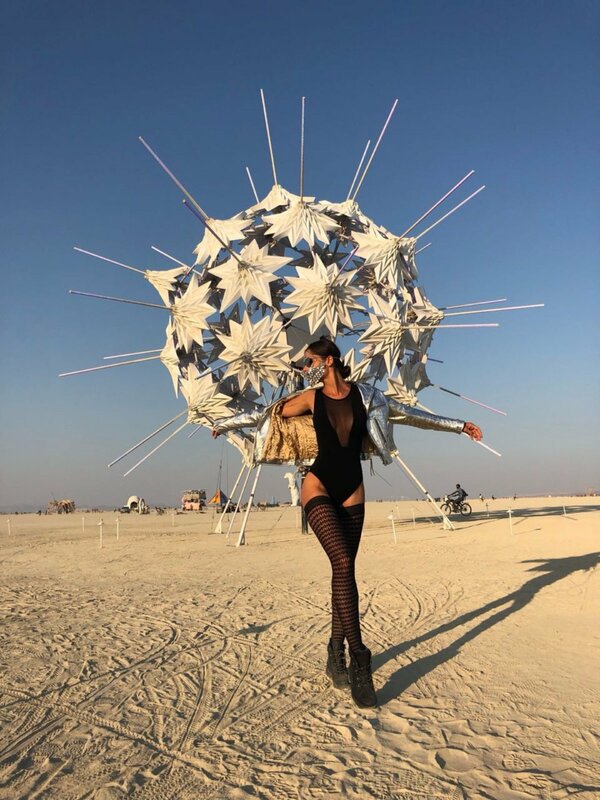 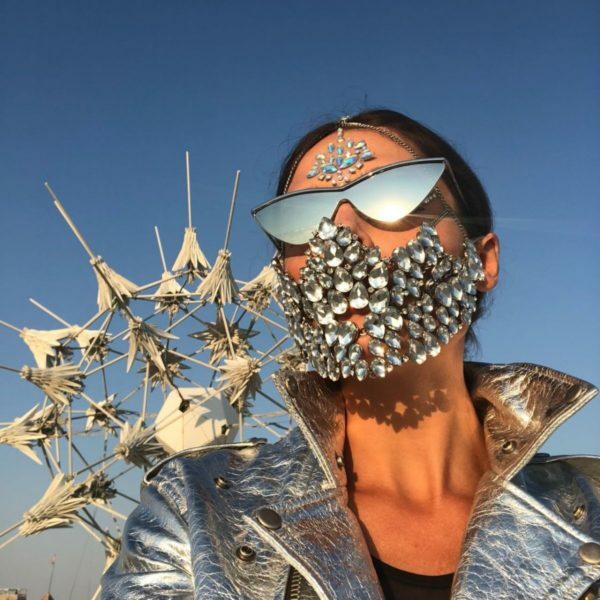 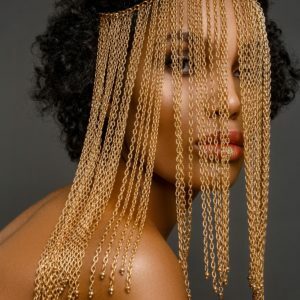 Crystal face jewelry is a great choice for masquerades, Burning Man fest, performances, showcasing and stylish fashion photo shootings. Mask has 2 clasps on the back of head/adjustable chain. 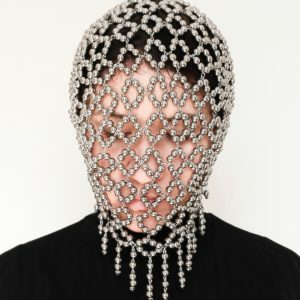 It’s easy to wear on your head, it’s easy for breathe.